La famosa i reconeguda casa tipogràfica House Industries amb Ken Barber i Andy Creu al davant acaben d’anunciar que The Process is the Inspiration, el nou llibre de House Industries, sortirà a la venda el proper 30 de maig. Es tracta d’un llibre recopilatori de 400 pàgines que tracta de respondre la senzilla pregunta: On trobes la inspiració? 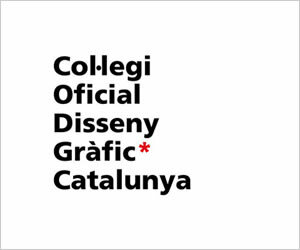 A partir de centenars de referències, projectes i vivències personals tracten de respondre aquesta complexa pregunta. The Process is the Inspiration és un llibre de pasta dura creat per J.J. Abrams (Pròleg), Andy Cruz (Autor), Rich Roat (Autor) i Ken Barber (Autor). Fet amb quatre stocks diferents de paper, tintes metàl·liques, vernissos SPOT i un format de 216 x 254 mm. Where do you find inspiration? It seems like a simple question, but like most things we do, we overthought it then overdesigned some 400 pages in an attempt to provide an answer. With topics ranging from fonts and fashion to ceramics and space technology, this beautifully-useful volume offers a personal perspective on the origin of ideas for creative people in any field. Presented in the honest, authentic, and often irreverent style that you’ve come to expect from House Industries, The Process is the Inspiration is a collection of helpful lessons, stories and case studies that demonstrate how you can transform obsessive curiosity into personally satisfying and successful work. If that’s not enough, there’s also plenty of over-intellectualized post-rationalization supported by hundreds of new images, our signature top-secret printing tricks, and thousands of Oxford commas. Most importantly, this book shows that there’s no sense in waiting for inspiration because inspiration is already waiting for you. 10 anys, avui fem 10 anys!